Great products begin by identifying a problem. How painful that problem is, and how effectively the product solves that pain-point often determines how successful the product will be. Useful solutions to real problems are a fantastic start to successfully launching and selling a big-time product. IMGING is a new product experience that makes it easy and safe to capture images and create reports of property damage insurance claims. 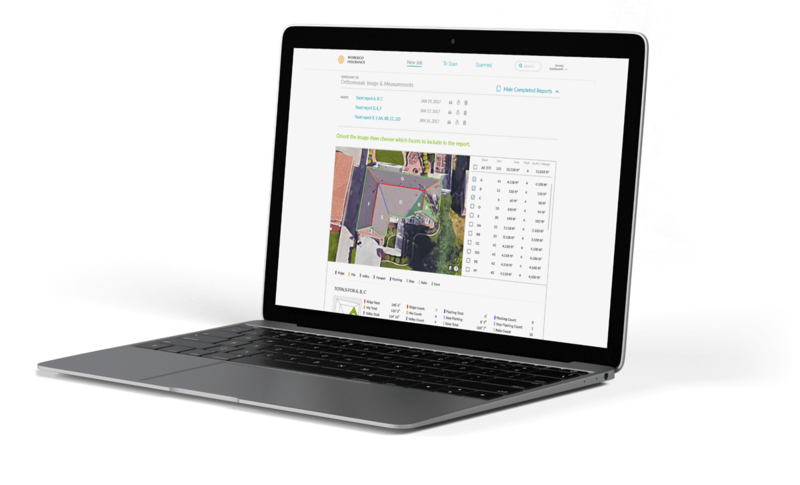 We designed every step of this streamlined process: from calibrating the drone, to creating a flight plan, marking obstacles, and managing data. In order to simplify a complex process, we broke it down into bite-sized, step-by-step instructions. 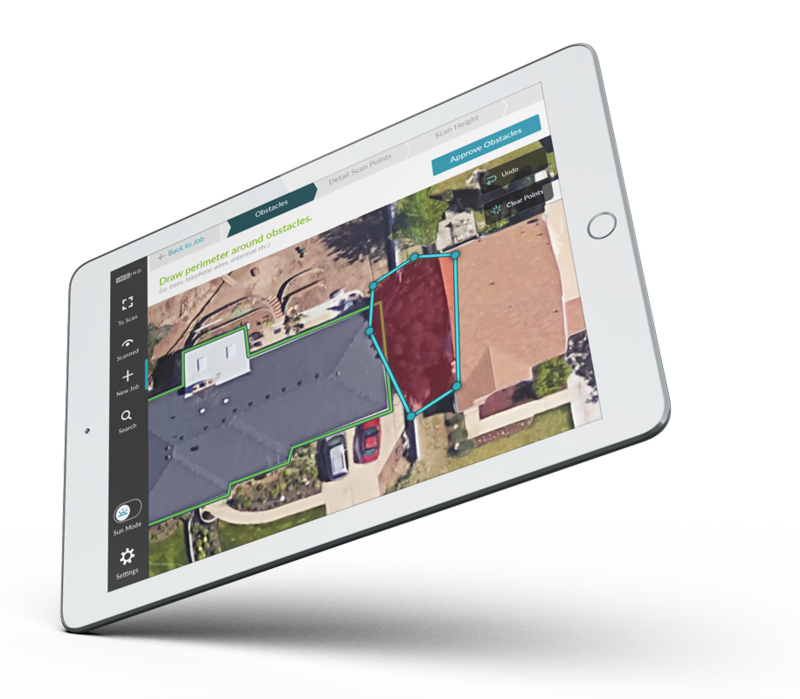 Users outline property borders, mark obstacles on top of satellite images of homes, and determine flight altitude – all at their own pace. For the interface, we used high-contrast components so users can always see the borders and anchor points of their lines, no matter what the property looks like. For this tool, utility is paramount. All of this interaction is done on an iPad mini, which introduces fun challenges in fitting all the content required without it feeling too crowded or becoming illegible. Designing flight tools for users that are not professional drone pilots was another big job. These tools are first and foremost intended to provide “situational awareness.” which means helping pilots to know what’s going on around their drone. The live footage is the most important thing for the pilot to see, so our designs were centered around that objective as the priority. In order to preserve valuable real-estate, we made the interface semi-transparent or at minimum useable sizes. We put the progress indicators on the top and bottom-left of the screen show what step of the process the drone is on, as well as what is remaining. The proximity indicators on the left side of the screen give reassurance and warnings to pilots as the drone automatically completes the job. We put manual overrides and other quick-commands in the bottom-right corner for quick access. The magic of this process is that most jobs can be completed without any manual operation of the drone controller. After the full scan is complete, the drone is chock-full of high-resolution information. We designed the process for that information to be used to create high-fidelity 3D renderings of the structure, detailed annotations of individual areas, and even precise measurements of the varying roof characteristics. The process is so comprehensive, it is challenging to succinctly say everything that this innovative tool can do! We are still coming up with new, creative way to tell the story; but the animation below shows one way that is working like a charm. Initially we were asked to just design the interface and UX for the IMGING tool. But sometimes we sink our teeth so deep into a project that we keep chewing on ideas even after the scope of work is wrapped up. Often times these ideas are put on ice for upcoming phases, but sometimes the ideas have to do with some other aspect of the product that we haven’t been involved with. We aren’t afraid to champion a new idea for our clients because it shows them how much we want them to succeed and how immersed we are in making their product great. This data-visualization animation started as a Stotion brain-child and step by step the client fell in love with it. We are very proud. Those brain children grow up so fast!